When I was younger I never really imagined becoming a father. I was well-trained by my mother, who, having given birth to a nearly 11 pound me at age 19, encouraged her own children, on this one task, to be true procrastinators. But a few years ago, when Hiromi and I got married, the idea no longer gave me nightmares. I had a rewarding early adulthood, with plenty of opportunity to do crazy and not-so-crazy things. I went to college, and immersed myself in literature, politics, and examinations of a world beyond the comfortable boundaries of my mostly suburban and rural childhood. I studied in Germany. I traveled to Japan, Korea, England, Ireland, and China. I learned to jog, lost a lot of weight, hurt myself, and gained it back. I ate well. I developed some professional skills, and ran away from that world for a couple of years to try something risky and outside of my comfort zone. Then I came back to software, and was actually better at it the second time around, with less emotional investment in my achievements or professional status. I helped grow a strong, cohesive community of Japanese-speaking people in my little corner of the world. I had developed a relationship with a fantastic woman, who helped me grow in all sorts of ways and made me a far more interesting person. Having a child no longer seemed like some encumbrance on my enjoyment of life… it seemed like a natural step in the evolution of our lives together. This year, we took that step. 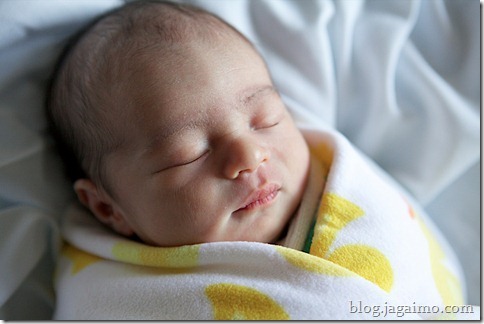 Kojiro joined us at 1:21 pm on September 8, after Hiromi endured a solid 37 hours of labor. He started out slightly irritated, not pleased with having been summarily evicted from his comfortable home of the last 9 or 10 months. But he quickly calmed down, and we were pleased that within minutes of life he proved to be an incredibly curious, contemplative, alert newborn. He was fascinated by everyone, unless they put him on the hospital bassinet, or on the scale, which irritated him immensely. He quickly learned that most of the time being in either spot would soon involve a collection of blood or injection of a hepatitis B vaccine or contact with some cold medical instrument. We’re fairly convinced he may never sleep peacefully in a crib again; he certainly hasn’t taken to it in the two months since his birth. Hiromi’s been unable to sleep more than an hour or so straight since, well, September 5. Hiromi was rooting for our child to be born while her friend, an Ob/Gyn who grew up in the same neighborhood as her, was on a short visit to Seattle during Japan’s Silver Week holidays. Hiromi was convinced going to Bumbershoot together might speed things along. If that’s true, it’s quite possible that we can credit standing out in the rain listening to Mary J. Blige on the last night of Bumbershoot with Hiromi’s friend with the timely arrival of our child. 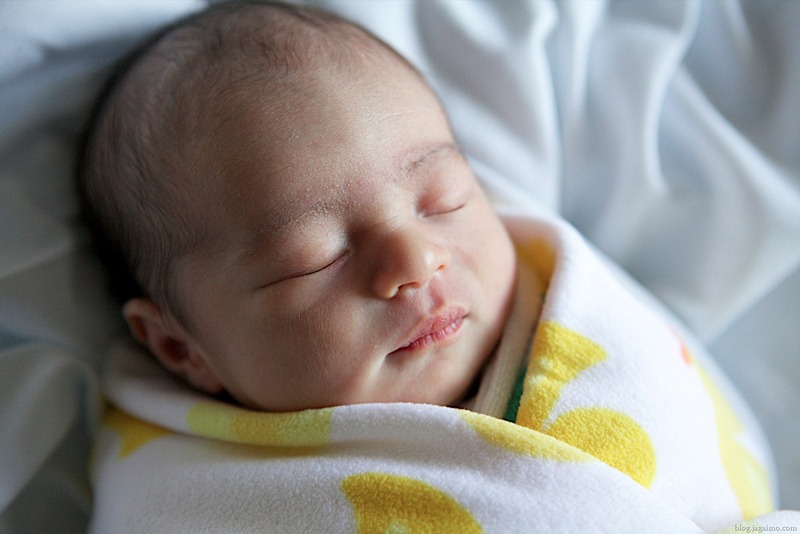 Not long after we got home that Monday night, Hiromi’s early labor started, and things progressed slowly but steadily thereafter, and she had not a moment’s comfort or rest until the big event. Hiromi’s friend accompanied us to Swedish’s delivery suite, and my mother arrived just a few hours before Kojiro was born. He’s now a second-generation Swedish baby; I was born in the same hospital, in a different building, almost 37 years ago. Two months in, we’re starting to settle in to a routine. Our son, however, has not. Maybe in a couple of decades, we’ll start to understand how this parenting thing is supposed to work, but in the meantime, we’re just improvising.